This game has looked great since the first screenshots and trailers were released and the demo is close to those promised visuals, yet it lacks in some key areas. 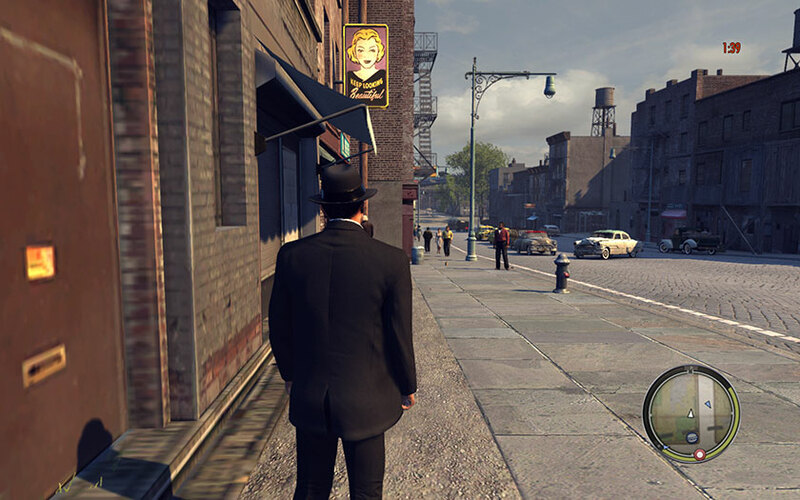 It’s common for a game to not look quite as good as promised early on in development as things are toned down for performance reasons or simply removed, this demo shows a mixed bag of quality, much like the original Mafia, however it’s possible (and I hope) that this is caused by the fact that it’s only a 1GB demo. 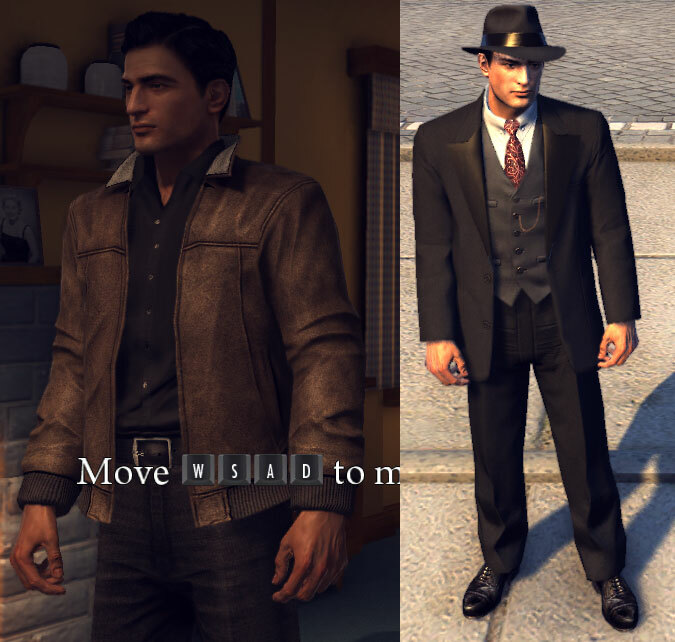 Firstly the character looks great, the original Mafia already had great character quality, especially in facial features that some games even nowadays still don’t quite get right. The APEX physics that deal with the cloth mechanics of the clothes the main character wears is hands down the best I have seen in a game or otherwise, there’s no passing through the character/other material, there’s no sharp glitches or otherwise, it just shows clothes moving as they should. The hair I am a bit disappointed with, there are a few strands of hair that stick out but other than that it’s just one big textured blob, much like the original, the facial features more than make up for it though. The quality of the character textures except for the hair is amazing and is exactly what was promised from the beginning. Cars in general look quite polished and the damage physics are exceptional. 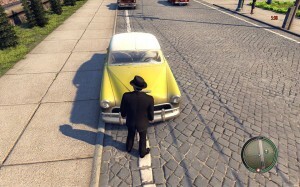 There are many nice touches that complete the cars, from the heat effect that comes up from the engine to the dirt that appears on older cars, there are a few shadow glitches occasionally but I will assume they are driver related as they occur all over the game. Crashes are enhanced if you have APEX physics turned on, it adds little bits that come off the cars and also crumples the area the car is hit, the paint that comes off is also a nice feature. The general atmosphere is great, they’ve really been able to capture the suburban atmosphere in this demo, it’s colourful and full of life, the seedier parts of the city that show in this demo are a contrast to this and are nicely done. That’s the kind of quality the original Mafia could get away with, being 8 years old. I’m hopeful however that this is just an example of serious compression in order to get a small demo size. 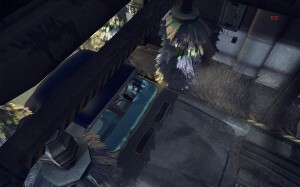 Texture quality isn’t everything in a game, especially in a game that plays as well as this, but there needs to be some standard in the game, right now it’s all over the place. 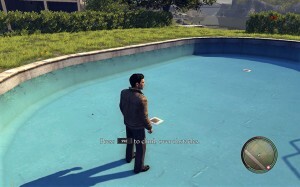 There are also small anomalies such as no water being in any of the swimming pools of the game, it makes no sense, in another case there is a building that has no doors, or windows, it’s just a box. Normally I would put information about performance in here, simply put, this game runs well on anything above the minimum requirements, often at maximum quality, as long as you don’t enable APEX physics that is. Anti-aliasing appears quite weak, all my screenshots have been taken with anti-aliasing on, plus the resizing filter that Photoshop uses to smooth them out and they’re still jaggy, in game it is horrible, it just blurs a little bit. 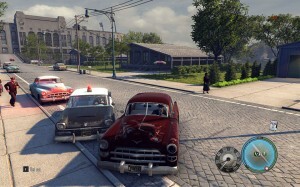 The original Mafia had good music from the period while in your car and this demo expands on that a great deal, the cars are fitted with radios that pick up many in-game stations that play music specific to that period, it really is a joy to drive around this game with the music playing and helps immensely with the overall environment. 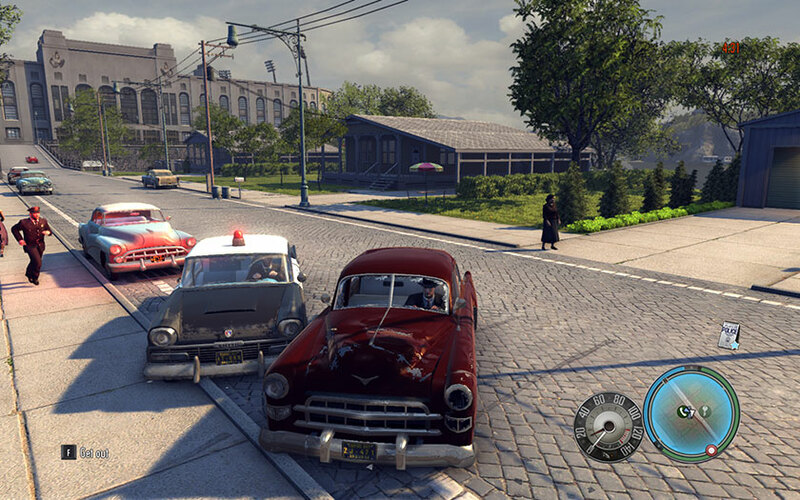 Ambient sounds are also great, with each in-game car/person/bird/building around you emitting some sort of sound at one time, together they work well at giving the game an authentic feeling, sound is an area where the full game would be much better at blowing you away in though. This demo feels a little more open than the original game in terms of sandbox game, though the demo is limited it seems that this game will have a more traditional sandbox element to it where free roam is anytime you feel like, though the demo is able to focus you on the storyline quite well. 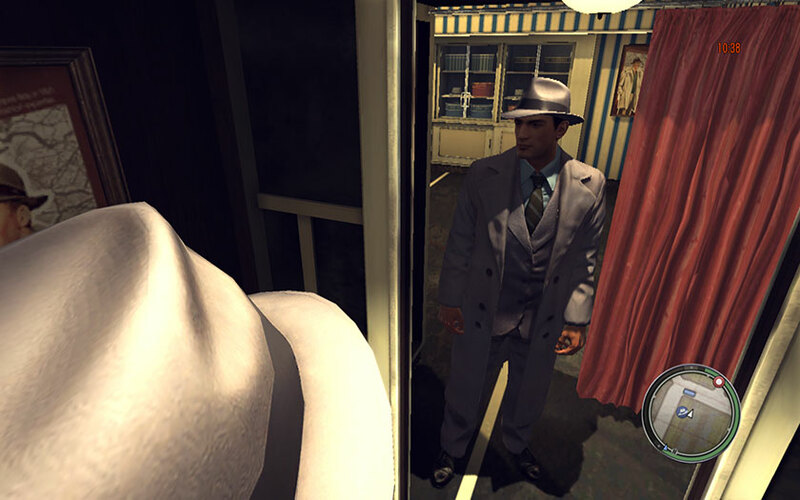 The character movement controls are basic and work well, using the common WASD by default instead of the arrow keys of the original Mafia, however it feels as though they may have sacrificed in order to simplify the game for gamepads, such as with the forced snapping of the camera in certain situations. 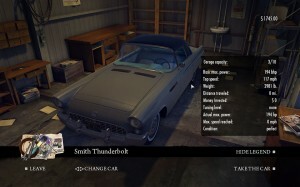 Car controls are also quite simple and expected, using the same keys by default as the character controls and it’s great that they have kept the speed limiter for times when you really don’t want to raise suspicion. 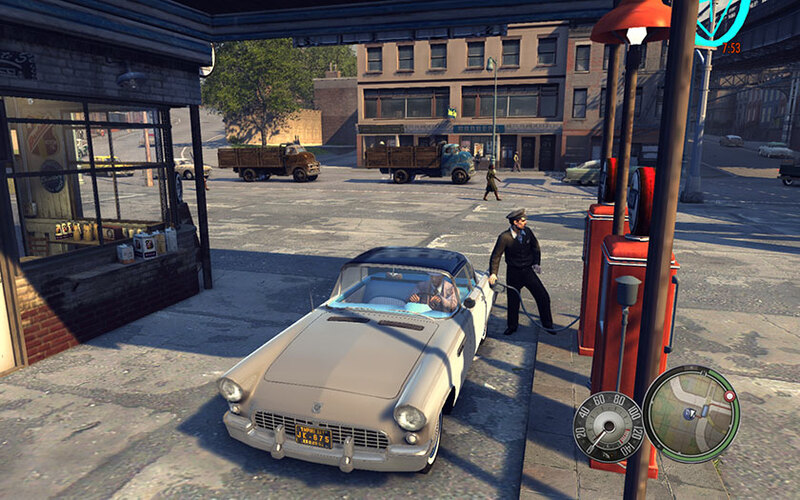 Though the use button and the leave button are now different, E and F respectively, it can get a bit confusing when you are trying to get out of the car quickly and instead are just tooting your horn. 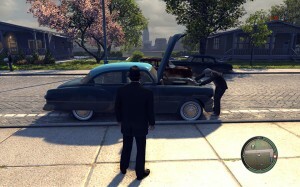 The cars do seem to break down a little easily and I’ve yet to get into a situation where I was able to fix one, usually the police are too close behind or the car is in a position where standing in front of the engine is impossible. This game has an incredibly smooth feeling to it, especially when driving, the cars smooth into every turn and generally handle well, I’ve yet to try the other driving mode however and some people tend to find it too touchy. The combat system works really well and I’ve yet to have a major issue with ducking. The guns handle similarly to the original game, which gives it a certain realism effect, I’m hopeful there will be more in the full game as for now the selection is a little limited, unfortunately melee combat is missing from the demo as is being able to shoot from your car, a feature that may or may not have been removed from the game depending on where you look, an unfortunate shame if that is true. The AI of the police in the demo is relatively okay, sometimes you can commit a crime and they seem to ignore it, in one case I was able to shoot at a police car from a distance in full view and they didn’t even stop driving, at least you can’t blame the demo’s police for being too touchy, in contrast the in-game citizens are quite willing to sell your out in a second to them if they see you do something. Once a crime has been committed, the police arrive on the scene and talk to witnesses and if you’re nearby you’ll get pointed out and caught, however if there aren’t any witnesses the police seem to just look for a few seconds and then walk on by, ignoring you and whatever has occurred completely. 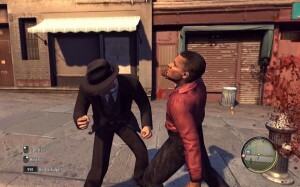 Fist fighting is one thing that has made it into the game, though you can only get into a fight with men, it’s a unique element to the game where you’re somewhat isolated and focused on, street fighting style complete with a slow motion view of your ending punch, the police will break up the fight if they see you though. The game has a few sub elements such as buying clothes, buying guns, repairing and upgrading/styling your car, washing your car, filling up your car, eating in order to gain health and getting drunk. 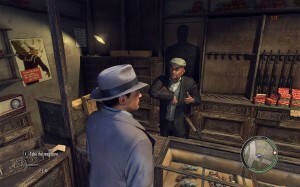 Buying clothes is not too much different from games like GTA 4, just simpler, with the added ability to hold up the cashier. Buying guns is similar, though you might not want to hold up this cashier. 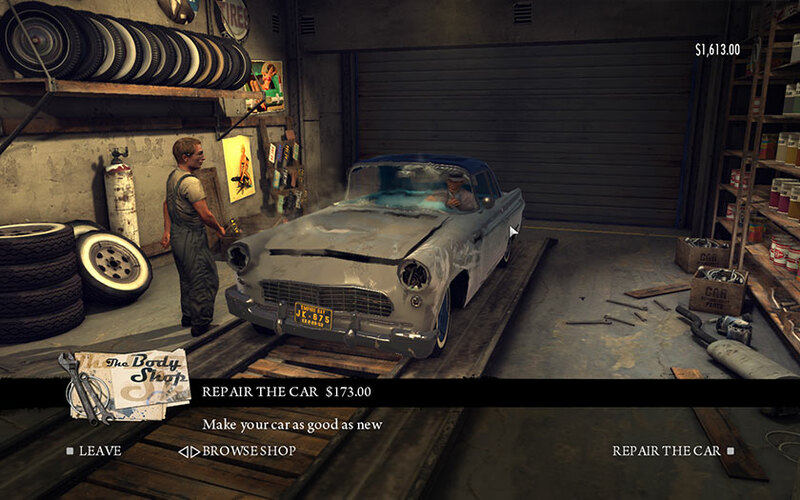 Repairing your car is handy if you become attached to it, you can also upgrade your car with what seems to be 3 tiers of upgrade to make it faster, you also have the ability to change the rims as well as the colour and numberplate. 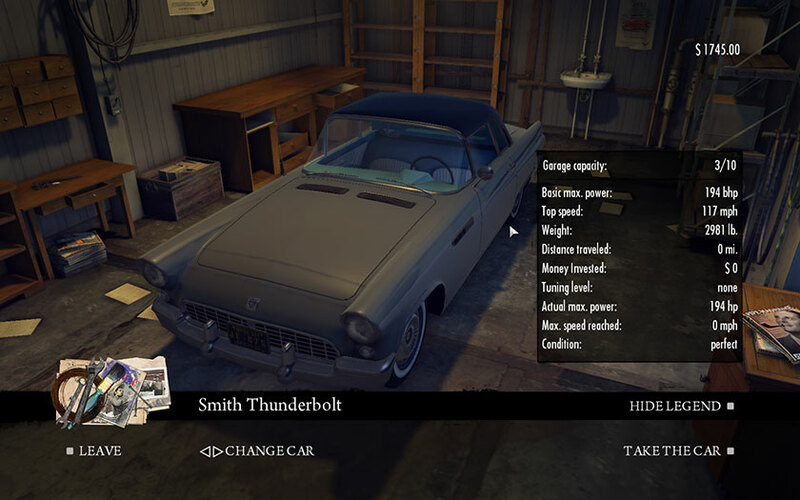 You have an in-game garage where you can pick up your car from a selection screen, a handy feature is the ability to see the stats between each car. 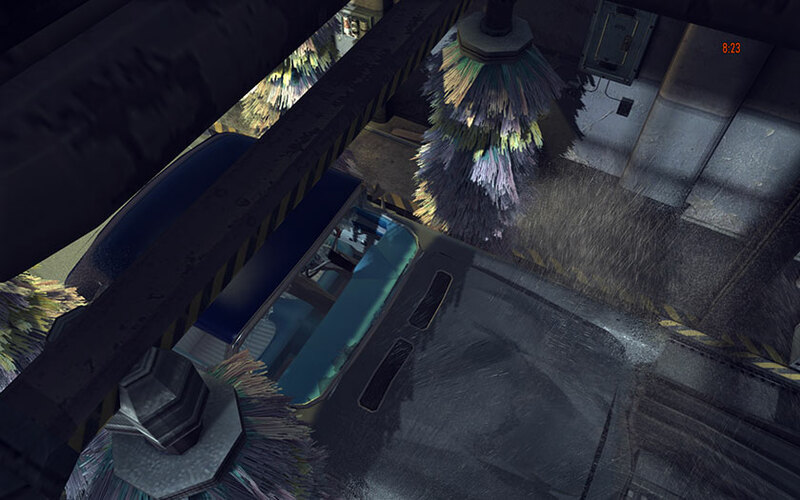 There is an in-game car wash that allows you to wash the car, though repairing it also does that anyway. Lastly you can fill up your car if it is running out of petrol, you can also hold up this person. 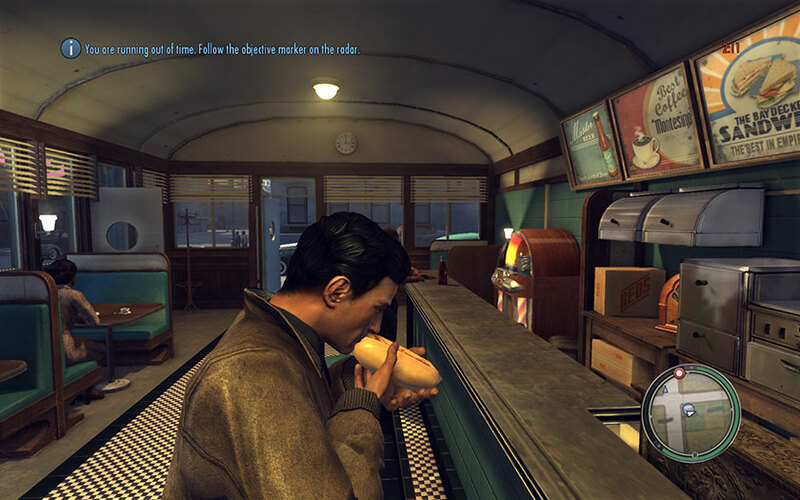 Eating and getting drunk is similar to GTA 4 also, you get drunk and eat in diners and pubs, drinking gets you drunk and blurs your vision for a while and eating gets you an extra little bit of health, this seems to be something more suited to be used in missions than something for use in open play, also unfortunately your character doesn’t sway or lose control in any way when he is drunk, it just blurs your vision which is actually quite easy to handle. 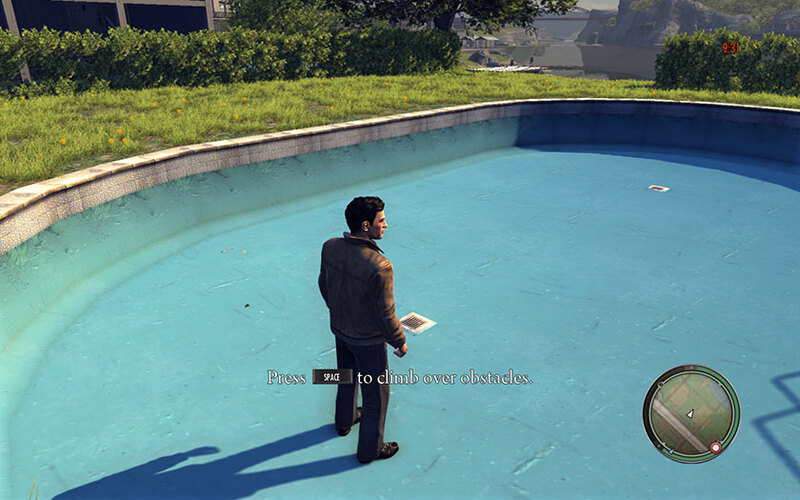 There seems to be an issue in general with water in this demo, firstly the aforementioned empty swimming pools, but also you can’t walk into the ocean, it’s simply an invisible barrier, also when you walk on the small part of beach where you can walk over a bit of water there is no splashing, you can however get other cars and your car to fall into the water, however they simply disappear and if you’re in the car you will be returned to the nearest surface. The ability to climb also feels broken, you can climb some things and not others, some fences for example are easy for him but others that are smaller he can’t, when you’re running from the police the ability to climb a small fence is very much needed. Another feature that feels missing is the ability to jump from a moving car, you must stop completely which isn’t as fun. There’s not too much story here, it’s a demo, the full game will shed light on what’s going on. 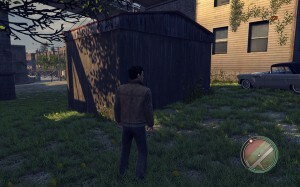 I’ll start here as it’s the most obvious when you start the game, firstly inside the safe house has lower fps than the rest of the game and it’s very jerky. Almost immediately you will notice how bad aliasing is in this game and upon turning anti-aliasing on you will also see how useless anti-aliasing is as well, I was going to make a comparison image but really there’s just so little changed to warrant it. Distant objects are so incredibly blurry and power lines are hideous because of it, it’s a far cry from what they showed 2 years ago, I consider this a bug because I can’t possibly imagine this being on purpose. Game has (at least on my hardware) an issue where the fps will drop considerably for a long time in-game. 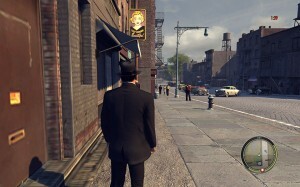 The game installs a new version of the PhysX runtime, in most cases over the previous version, in many cases this breaks PhysX for some reason making it CPU-only, causing a significant decrease in performance in every PhysX app, however uninstalling and reinstalling the runtime located in the “steamapps\common\mafia ii – public demo\3rd” folder fixes the issue. This game runs well on most cards if APEX physics is turned off, in fact 2 8800GTX graphics cards has the same performance as a GTX 480, upon turning APEX physics onto medium or high, both cards will chug down to between 20 and 35fps, even though they are only 50-60% utilised, as well as low CPU utilisation, which indicates something wrong with the game, those cards should be maxed out if they are struggling to run the game. Graphics – Bad aliasing, no effective anti-aliasing, very blurry distant objects. Sound – Honestly can’t find anything wrong. Gameplay – No melee? No diving from cars, no swimming or proper water usage? Inconsistent AI. Bugs – Unfortunate PhysX issues, see graphics issues above also. Graphics – Smooth animation, cars, characters are very polished, unfortunately not much else is. Sound – Sets the tone very nicely, enjoyable soundtrack. Gameplay – Familiar controls, simplicity, fighting style is great, police are fun when working correctly. I am a fan of the original Mafia and I can’t quite yet say whether this is a worthy successor, however it certainly is a great game either way, it’s just a shame it has those awful bugs. I don’t mind their use of PhysX, it’s certainly the best they could have added to the game at the time and it doesn’t punish non-nVidia card owners as they can still experience most of the physics anyway, it’s simply a nice touch for nVidia users. I have had much fun with this demo, I have played it countless times now and I can’t wait for the full game. I certainly didn’t have a bad experience with this demo despite what it may seem. I hope to review the full game as well when it comes out, I’m not entirely sure what they’re going to be able to fix from the demo by then (if anything) but I hope to be pleasantly surprised. im sorry to say that after playing the demo, i think its a terrible game, it feels dated. Though the graphics are quite nice in places, the game still just doesnt look right. 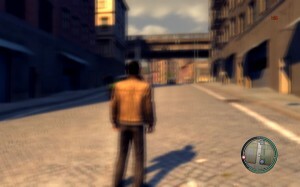 It feels bulky, and after playing GTA 4 the contol in the game is poor.